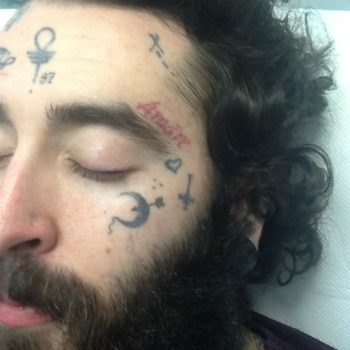 Hayden had many tattoos on his face consisting of red and black ink. At Pulse Light Clinic we are leaders in Tattoo removal and are the only clinic to date with both the Picoway and Picture lasers in Europe. Allowing us to treat all ink types effectively. The PicoWay laser is designed to effectively remove both black and red colours of ink fully, using a 1064 and 532 wavelength. 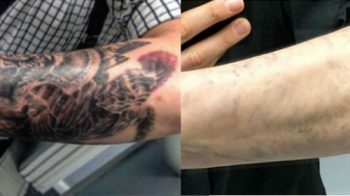 All 12 tattoos were removed during the same appointment. Hayden began his 1st treatment in March 2016. Hayden’s appointments were spaced every 8 weeks, to allow for maximum fading and repairing of the skin. Straight after the treatments he had swelling and a little bit of pin prick bleeding, the skin then scabbed slightly. Hayden followed the aftercare instructions to letter! 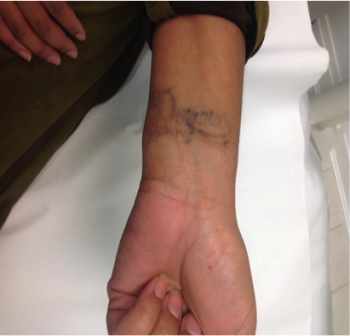 Meaning by the end of the 8 weeks his tattoo had faded and his skin was in tip top condition. 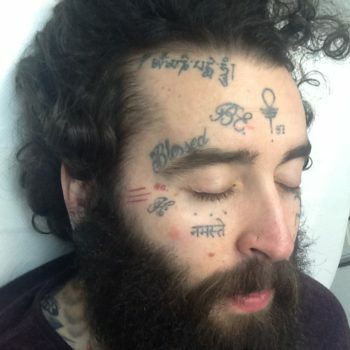 Some of his tattoos were deeper than others. 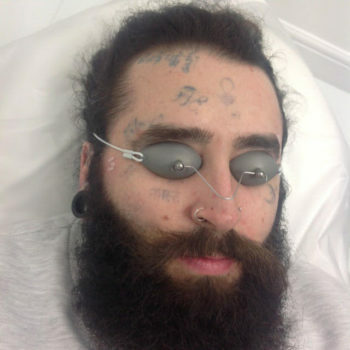 Due to this factor, we predicted that more treatments were required on the deeper tattoos. 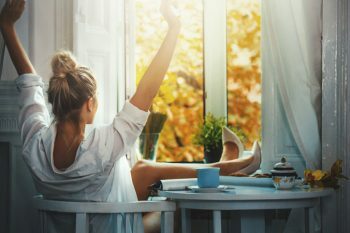 It is important to understand that the time in between treatments is in fact part of the treatment itself as it allows the body to heal and the ink will continue to fade. This was definitely the case for Hayden and when he came back after a longer gap of 12 weeks his results were very effective. 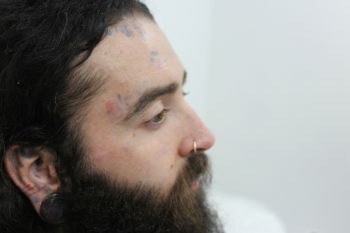 Treatment to be continued – an estimation of 1- 2 treatments to fully remove the remaining ink. 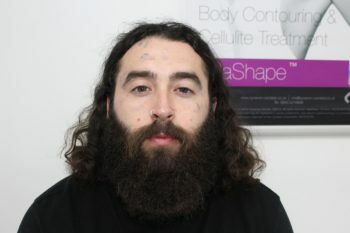 Hayden’s laser tattoo removal treatments were carried out by one of our senior technician’s , ” Maelle Agelou”.